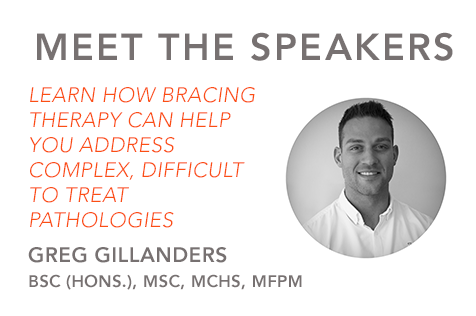 At October’s Firefly MSK Workshop, Greg Gillanders will present on prescribing from the Richie Brace range of AFOs – selecting the most appropriate device for the patient’s pathology. The Richie Brace is described as a ‘game-changer‘ and can fundamentally change patient’s lives for the better. To get an idea of how effective the Richie Brace range can be, check out this product review from Tweed Podiatry. 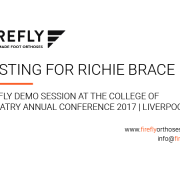 If you are interested in adding bracing therapy to your prescription tool kit, book your place at October’s Firefly MSK Workshop. Bracing therapy is a growing prescription solution in the field of podiatry. Previously, foot braces had a bad reputation among patients. They were bulky and uncomfortable and did not fit with patients life-style and needs. 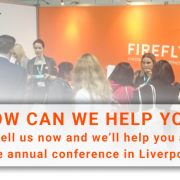 Advances in material technology has meant AFO – ankle foot orthoses, are now designed to fit comfortably and discretely in a patients shoe and can bring life changing benefits. These low-profile devices allow for better fit, more freedom of movement and reduced pain from injury with many patients eventually recovering to discontinue the wearing of such braces. 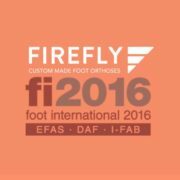 At Firefly, we have had huge success with the Richie Brace range of AFOs for the treatment of chronic conditions of the foot and ankle. With a contoured balanced orthotic footplate articulated to adjustable semi-rigid lower leg uprights, the Richie Brace is ideally suited to stabilise rotational forces at the Midtarsal Subtalar and Talo-Crural joints. Modifications and enhancements are available to add further restrictions of motion in sagittal, frontal and transverse plane.